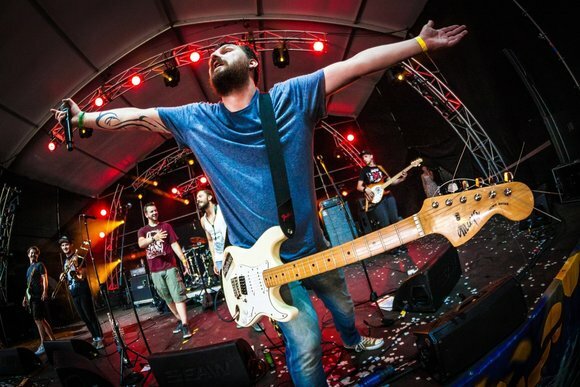 The Mugshots is a seven-piece, Warsaw (PL) based, ska-punk extravaganza. Band was formed in 2009 and have played dozen gigs all over Europe since then, supporting big shots like Mad Caddies, Reel Big Fish, Flogging Molly, The Toasters, The Flatliners and many more. Apart from touring, The Mugshots also won the casting for the biggest Polish student festival Ursynalia in 2010, reached quarter finals of popular talent show Must Be The Music, played as headliner on Campus Open Air Festival in Goerlitz (2014), won double first prize on festival of Krzysztof Klenczon i Pułtusk (2014). We sing in polish, but hosting a show in english isn't a problem. Our greatest power is contact with audience. There's a lot going on in our lives. If you want to be up to date with our magnificiant seven, follow us on Facebook!